Track 1: INNOVATION: This track will cover the role of innovation in transitioning to a circular economy. It will include discussions on new business activities, future technologies and required investments for scaling-up the circular economy. Track 2: SECTORAL: This track will cover the application of circular economy solutions for different sectors. It will include discussions on circular solutions in cities, and especially for construction and water. Track 3: STRATEGY: This track will cover strategic planning and execution for the circular economy. 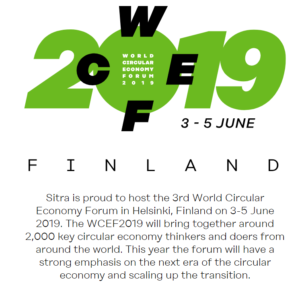 It will include discussions on regional, national and local strategies, road maps and indicators as well as the interconnectedness of circularity with climate change. Track 4: SOCIAL: This track will cover the social impacts and the fairness of the transition to a circular economy. It will include discussions on circular economy in developing countries, the effects on global security as well as present educational and everyday solutions.